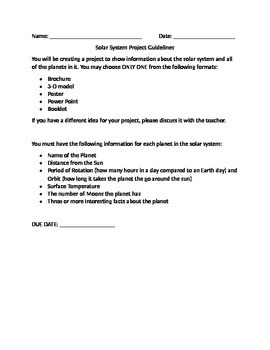 This includes a guidelines paper and a rubric for a solar system project. 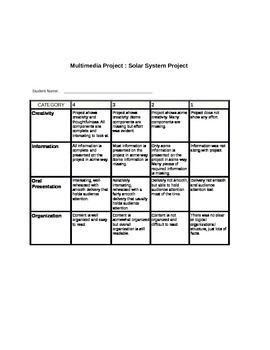 I loved giving the students choice on how to create their project, they just needed to make sure they followed the requirements for what information needed to be included. They also had to present their project so that is also included in the rubric as part of their grade.